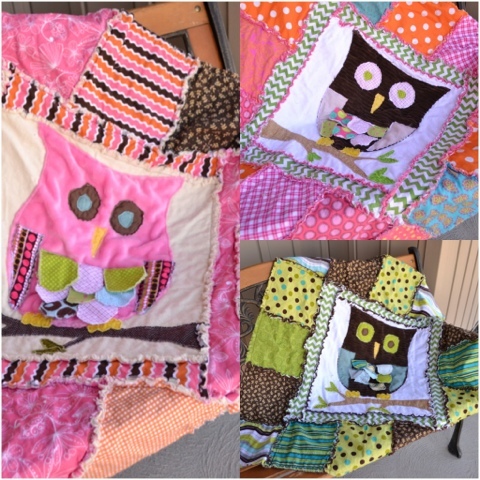 Owl Rag Quilts! 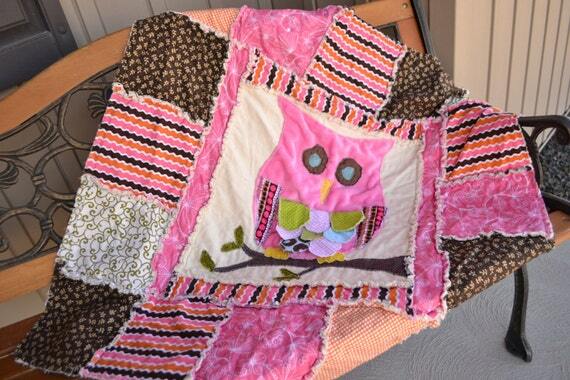 | A Vision to Remember All Things Handmade Blog: Owl Rag Quilts! 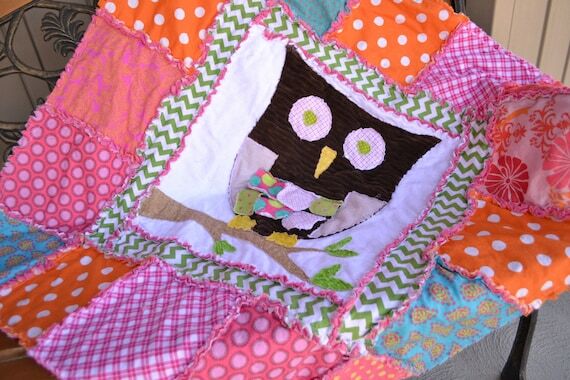 I am in love with these owl quilts! I think my favorite would have to be the orange, pink, green, and turquoise one! The other girl one is just as cute! I love the soft minky owl. 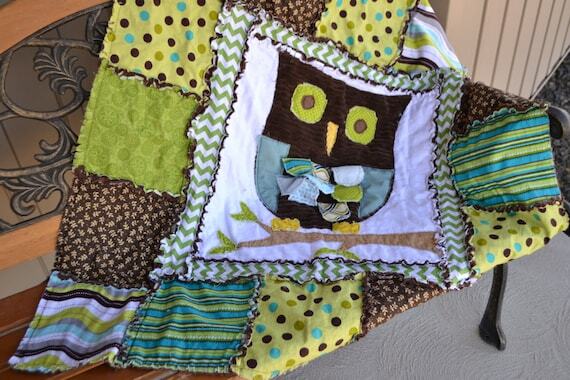 Of course I had to do another boy owl quilt. 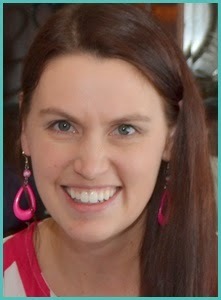 This time I did it in green, brown, and turquoise. Again, with a soft minky owl and 3-d scallop feathers. If you would prefer to make your own...you can go to HERE. But please remember to share a picture with me! I love to see how different people make the same quilt pattern their own.